Before we look at the numbers, let’s take a brief look at the test system that was used as we switched over to a new system in April 2017 when Windows 10 Creators Update was released. All testing was done using a fresh install of Windows 10 Pro 64-bit version 1703 and benchmarks were completed on the desktop with no other software programs running. There has been some concern of people testing a cold card versus a hot card, but we’ve always done out testing ‘hot’ since the site started back more than a decade ago. 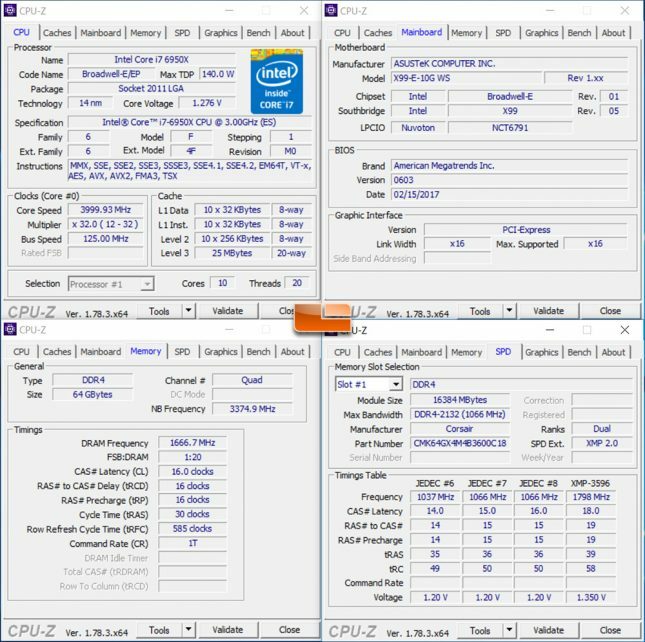 The Intel X99 platform that we used to test the all of the video cards was running the ASUS X99-E-10G WS motherboard with BIOS 0603 that came out on 03/15/2017. 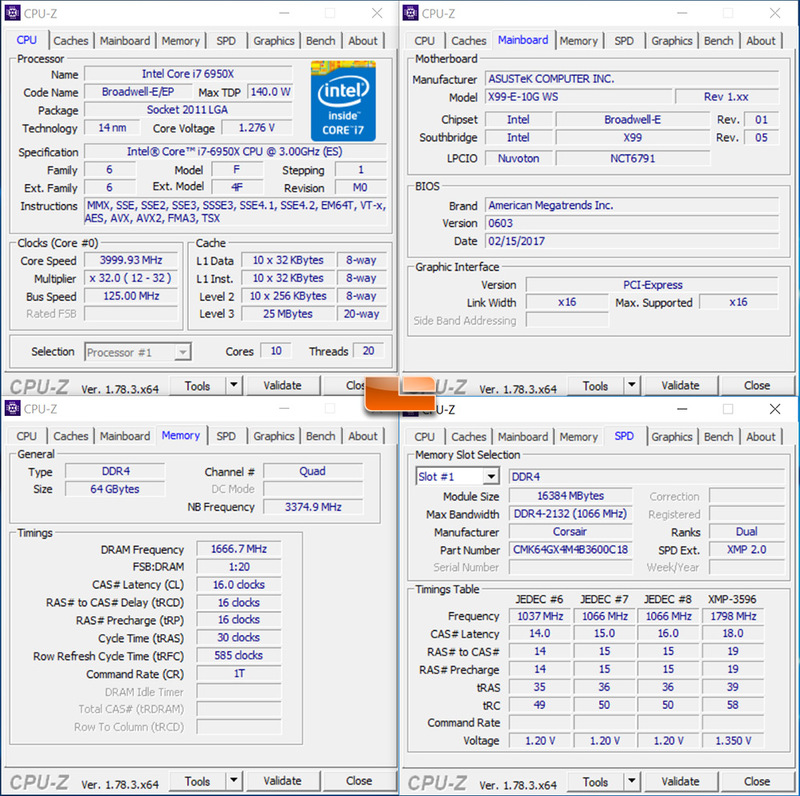 We went with the Intel Core i7-6950X Ivy Bridge-E processor to power this platform and overclocked it up to 4.0GHz on all cores. The Corsair Vengeance LPX DDR4 memory kit we used was a 64GB kit (4x16GB) and while it is rated at 3600MHz we actually ran it at 3333MHz at 1.30V with 16-16-16-30 1T memory timings. The Samsung SSD 960 EVO 1TB M.2 PCIe NVMe SSD was run with latest firmware available. 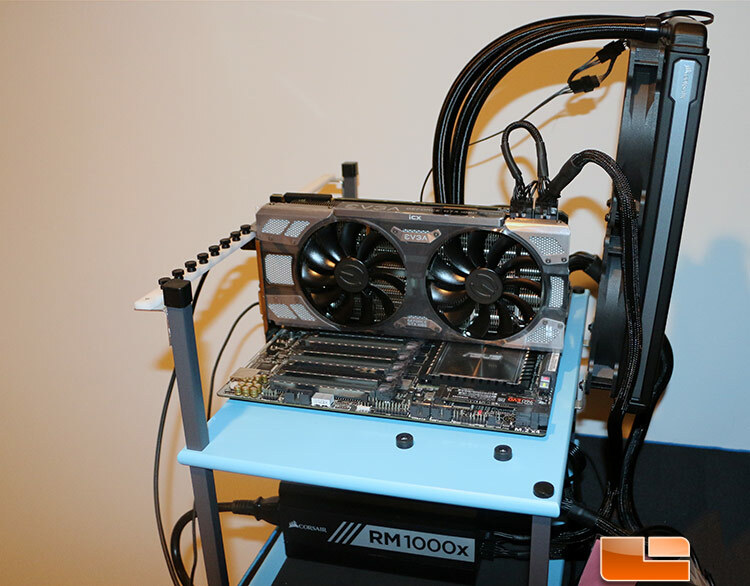 A Corsair RM1000x power supply provides clean power to the system and is also silent as the fan hardly ever spins up. This is critical to our testing as it lowers the ambient noise level of the room and gives us more accurate sound measurements.